Self-esteem and loving yourself is more important than any other thing in life which might appear valuable. The meaning of love is what it can do, how it can heal, how it can renew. Here are some of the famous Audrey Hepburn quotes. Check out these quotes to live and love your life to the fullest. Be happy doing what you enjoy doing in life. Don’t hold back. It’s your life, spread out your wings and fly. Try hard, you can achieve success and overcome adversities. Everything is possible when you think it’s possible! Always keep your loved ones close. Never leave them behind, cling onto your loved ones forever! Laughter can heal any disease, laugh often, laugh more! Do whatever is necessary to express love and accept love. Adversities come and go. Staying strong is the key in your most difficult times. There is light ahead always. Be happy about it because beauty lies in happiness. Maturity comes with helping yourself and helping others. One step towards success is to grab your opportunities! It’s rare and natural at times. Marry someone who loves you from heart and someone with whom you can spend your eternal life. Find yourself and be yourself. Love who you are, be who you are. Beauty of a human being lies inside not outside. Outer appearance does not define a person. Having people in your life is important. Never erase anyone from your life. Loneliness is a silent poison. Sometimes a quick trip to Paris can refresh your mind and soul. Elegance is the only beauty that never fades! Even after heart break just move on in life and let God bring the right person to you. Right person comes at a right time. So be patient and smile out your wounds. Such a perfect woman, beautiful both on the outside and inside. Embrace honesty and let go of complexity! Everybody needs some space at one point of life to discover inner-self. Spending time doing what you love is important. It makes you independent. You can be who you are. Happiness is hard to come by. You are healthy when you are happy. A woman’s gesture and personality tells a lot about her womanliness. Alone time helps you to energize your body and mind. Beauty is visualized by the love a woman expresses from heart not by her outer appearance. 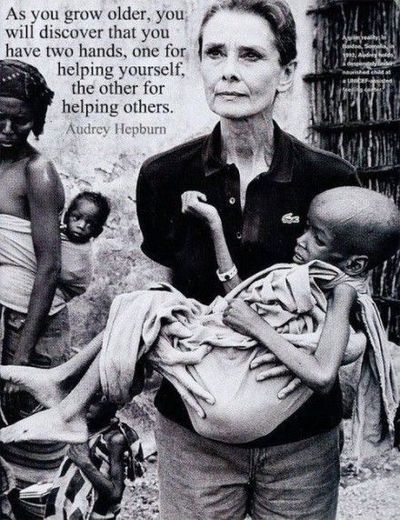 Of all the Audrey Hepburn quotes, I love this one the most. We learn from our past experience and appreciate our present. It makes us realize the value of time we have in hand rather than what we will have tomorrow or in the near future.